What little girl doesn’t like a garden filled with flowers and butterflies. This room was created for Meredith a little girl who spends most of her time indoors because she suffers from a rare disorder call Dravet syndrome (epilepsy). This is a typical room for most children, filled with posters on the wall, toys scattered about and favorite books stacked on the book shelf. As you read on you will see this room turned into an enchanting garden filled with colorful flowers and butterflies that will bring joy and happiness to a special needs child. We incorporated a simple birdcage stencil into the design. I took a tree branch and hot glued in onto the wall and added a bird that I bought at the dollar store for a 3D effect. This flamingo lamp was created with three hot pink boas that I found at Goodwill for 99 cents each and I hot glued onto a $3 lamp shade that was also bought at Goodwill. The base was spray painted with Rust-Oleum paint. This little project only cost $5. The desk and chair in her room was brown and outdated but was very functional so I decided to repurpose it. A few small changes and you have a new piece of furniture. I painted it with chalk type paint that I made from magic powder (making your own chalk paint will save you a lot of money) The desk and chair were decoupaged with wallpaper and sealed with polycrylic protective finish. And then I stapled tulle around the bottom of the chair and hot glued the trim on the chair to hide the staples. Here’s another Dollar Tree find. I love that store. I found these cute butterflies and hot glued them sporadically around the room for a 3D effect. I always have client’s donation accessories and furniture to my nonprofit organization “Paint For Children” this is one of those items. I LOVE FREE! It worked perfectly in this room makeover. I used lattice to create a fence around the room. You can find this at Home Depot for $11.98 a sheet. Here’s a picture of the other side of the room. Watch the video below for the reveal. Paint For Children is a nonprofit organization I started last year. Our mission is to make a child smile through art. Local artist and volunteers offer their time and talent to bless children with special needs with a room makeover. Meet the volunteers. They work with a serving heart. Please visit “Paint For Children” to see more children’s room makeovers. For more painted murals, faux finishes, and DIY projects please subscribe to my weekly blog! For more painting tips, get my FREE Top 7 Tips for Painting Cabinets and check out my favorite paint brushes in my NEW online shop. 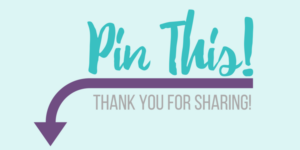 Please share my pin and visit me on Pinterest for more DIY projects & painting tips! Get my weekly DIY projects, painting tips and more! Check your inbox on Sunday for my next project! Seen Enough? Ready to see what we can do for you? © Copyright 2015 Artzy Fartzy Creations. All rights reserved.